We are a leading Exporter of ashwalyte, ashwaloate (benzyl benzoate), ashwamectin, ashwantel and ashwavet (phenyl butazone) from Pune, India. Hesturlyte – C provides Electrolytes , Dextrose , Vitamin – C for readymade energy. To maintain correct osmotic pressure and precise acid base equilibrium. Indication : For sweet itch in Horse. It is effective against all the important gut-dwelling roundworms, tapeworms. It is recommended for direct oral administration in horses, ponies, donkeys, and foals over four weeks of age. 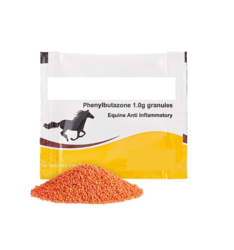 Composition :Each sachet contains Tasteless Granules equivalent to phenyl butazone 1g as analgesic and anti - inflammatory in the treatment of musculoskeletol disorders in horses. 450 kg body weight 2 sachets at first followed by 1 sachet daily for 4 days or as directed by Veterinarian surgeon. Not to be used in horses intended for human consumption . Store in cool and dry place . Disposal of empty container by wrapping in paper, placing in plastic bag and out in the garbage. Looking for Equine Health ?